In the leadup to the release of Apple’s iPhone there was a great deal of talk about the device, mainly on MacBreak Weekly and the Apple Phone Show… both excellent podcasts that set a real benchmark for quality when it comes to the podcasting medium. There was tons of pontificating and prognosticating about the iPhone, and how it would change the cell phone market forever. All that aside, one of the theories I heard over and over was that most people never actually tap into the full capabilities of their cell phone, with a huge majority of people using their phone just to make phone calls. Imagine that! 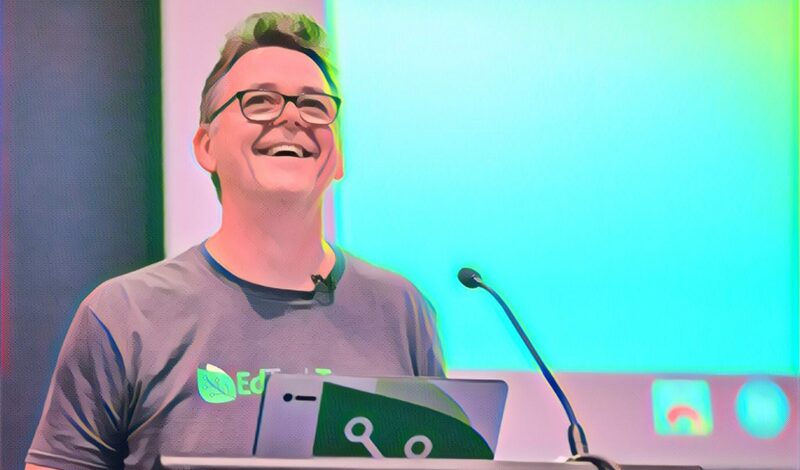 The idea that most people never really explore their phone’s capabilities really hit home to me the other day at a conference when I saw a demonstration of a video made by a guy from footage he had very proudly taken with his phone. It was a few shots edited together with some music under it, and I asked the question at the end “Did you edit that on your phone?” He replied “No”, and then, after a pause, said “Can I do that?” Like I said, most people don’t ever explore the full features of their phone. Being the geek that I am, I am not one of those people. I think I probably use nearly the full range of capabilities of my phone, so I thought it warranted a blog post to just talk about what exactly I do with my phone and some of the uses I have for it as a fairly fluent digital immigrant. I don’t have an iPhone. 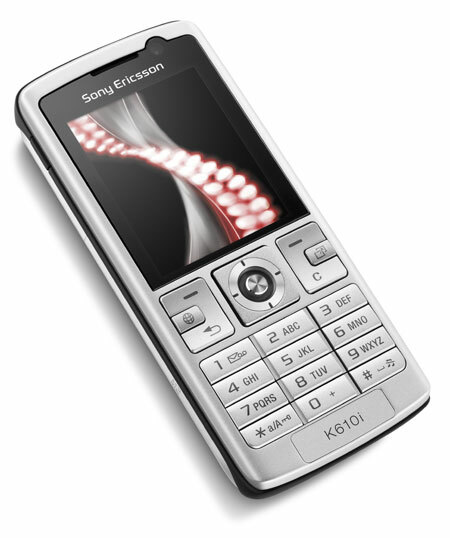 I’d like one, but instead I own a very simple, very basic, very cheap, Sony Ericsson K610i. It was the cheapest 3G phone I could buy, but I’m amazed at what it is capable of, especially when combined with the 3G network service. Obviously, it can make phone calls and has all the usual features that a voice phone would have… address book, call register, and so on. It has a hands free mode, and can work as a speaker phone. It comes with a headset for in-car use and can also connect to a bluetooth handsfree kit for use while driving. It has a calendar for remembering appointments, a notepad for taking notes, a sound recorder, a task list, a stopwatch, a calculator and an alarm clock. I use all of these tools regularly, in fact I use the alarm clock to wake myself up every morning. I’ll concede that the standard text entry interface is not really optimal for some of these apps, but it’s good enough to be usable in small doses, which is all I ever really need it to be. There are a ton of useful messaging options on the phone… SMS which I use a lot, and also email, MMS and voicemail. I can send pictures and videos, as well as text, through these different formats. I send and receive a quite lot of SMS, so I like the way it manages the messaging with the usual inbox, outbox, sent mail paradigm. There is also a templates mode, so messages that are sent often can be templated so you don’t have to type them from scratch all the time. That’s a useful feature. I’m also impressed that the phone has an RSS aggregator built in. I can subscribe to blog feeds on the phone and it will regularly check the web to see if there are updates. It works exactly as you’d expect… when the phone finds an updated feed it indicates it on the main screen. This is a super-useful feature, and one I use a fair bit. Being a 3G service, the phone’s service provider offers an interesting range of sites within the walled garden of their network. Hit the browse button and I can access news, weather, sport, comedy, finance news and special features like mobile TV. This is all video based too, so I can watch it all with proper video. I don’t often watch the TV news, but I will sometimes reach for my phone before I get out of bed in the morning and catch the early news bulletin, check the weather or watch a bit of Family Guy before I start my day. Other things I can get from the network include music video clips, ring tones and wallpapers but I have never bought any of these… more on that later. Other useful services include the ability to check the cinema guide for my nominated local cinemas, and watch trailers for the latest films. I can check my horoscope, find out what’s on TV, look up a restaurant in the food guide, check what bands are playing, or see what’s on TV. I can look up a train or bus timetable, check my lottery numbers, get the racing results, and even browse through online services like eBay, realestate.com or RSVP. This really does start to make you realise how the information landscape has changed. Our kids carry these information appliances around in their pockets. Adults just make phone calls. We are so on different planets. The phone is also a media center. Load it up with MP3 or M4A files and you have a reasonable music player. It’s not quite an iPod, but it’s not too bad. It takes removable memory cards so you can store as much as you have space for. Flip the phone over and there is a decent camera built in the phone. It’s not a fabulous camera, but it’s ok, and given a decent amount of light it will take a pretty acceptable image. Once you take a photo, you have the ability to send it to someone via SMS or email, and you can also Blog it directly from the phone. Yes, the phone is able to establish a direct connection to a nominated Blogger account and send photos directly from the phone to the web in three clicks. Very cool, and something I use ALL the time. Since the phone can also run an Java based application, there are lots of possibilities there too… as well as the obvious games (which are generally pretty naff) you can also get a portable Java version of Google Maps (including the ability to find locations and to navigate from place to place), Gmail, MSN Messenger and Opera Browser. I’ve also added a thing called Salling Clicker, which lets me use the phone as a remote for my Mac and enables remote control of slideshow presentations, iTunes, iPhoto, and a bunch of other computer-based uses. Finally another app called Shozu is a digital upload centre for all your mobile media. From within Shozu you can upload any media file (photos, audio, video) to virtually any web service (blogs, YouTube, Flickr, etc). So photos that get taken on my cell camera can be pushed straight to Flickr on the spot where they will quickly appear on my blog thanks to the Flickr widget. It really is quite impressive. Using the inbuilt web browser (or Opera) I can browse the web, search Google, check Twitter… all from the phone. I realise that most people don’t do all this stuff with their phone – they just make phone calls – but look at what is possible. Finally, I just love the simple Bluetooth connectivity to my Macs. With a couple of mouse clicks I can drag media to and from the phone using the Mac. I can use the Sync tool to wirelessly synchronise my phone’s address book to the Mac Address Book app. Seamlessly. Simply. In fact, the other big plus for the Bluetooth connectivity is how easy it makes it to add media to the phone for things like ringtones and screen wallpaper. I use Photoshop to trim my favourite photos to 176×220 pixels to fit the mobile’s screen, and I use Audacity to edit MP3 files into short grabs to use as ringtones… it’s easy to do, easy to transfer, and makes the phone a lot of fun to use. So much more than phone calls by Chris Betcher is licensed under a Creative Commons Attribution-ShareAlike 4.0 International License. I managed to take my dad’s PDA off him because he “couldn’t use it for what it was made for.” What he meant was that he couldn’t make proper phone calls on it. Yet he doesn’t realise with WiFi, GPRS, WAP, Bluetooth… it could have saved him dragging two laptops to work. Thanks for your inclusion of ShoZu 🙂 Happy to see you using it regularly and enjoying the software. We have a new release just around the corner with some pretty cool new features so stay tuned!